Is Voice Search for eCommerce The Next Big Thing? It wasn’t all that long ago when customers drove to an actual store to find products or ordered them from a catalog. Today, customers can buy just about anything online in a matter of minutes. For many shoppers, this now begins with a voice search on a smartphone or a home device. In fact, over 55% of teenagers, and 41% of adults use voice for their searches on a regular basis. These numbers will only increase over time, and voice search will become the preferred method of finding information, products, and services for eCommerce. In fact, it’s estimated that 50% of all searches performed online will be through voice search by the year 2020. With voice search for eCommerce on the rise, it may be prudent for merchants to start generating and optimizing content. The mainstream adoption of voice-activated devices in homes, such as Amazon Echo and Google Home, has had a major impact on the way that people shop. According to Walker Sands, around a quarter of all consumers own an in-home voice-controlled device, and that one in five customers have made a purchase through their device in the past year. Further, another 33% plan to do so in the future. 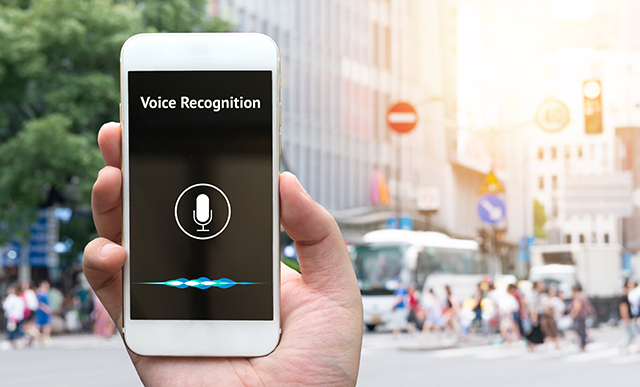 The number of customers using voice search will only increase as the technology evolves and consumers become more comfortable with the technology. Voice recognition is extremely accurate statistically speaking. Google Voice, for example, is said to understand speech at a rate of 95% for the English language, which is equivalent to that of a human’s comprehension level. What’s more, it currently understands nearly 120 languages, besides English, including mainstream languages like French and even obscure ones like Urdu. The fact is, that unless the searcher has a very unusual speech problem, voice search applications are capable of understanding and returning accurate results with ease. The majority of people carry a mobile device around with them on a daily basis. They use it to stay in touch with friends, families and colleagues and to find what they need while they’re on the go. This is a major shift from the traditional means of getting information like a home internet connection, computer and web browser. It’s easier, and more convenient, to grab your smartphone and ask Google where the nearest restaurant, store or another point of interest is. Likewise, searching for products, comparing prices, and making purchases, can be accomplished anytime, any place. None of this would be possible without voice search technology. While the majority of voice searches are done using mobile devices, the technology is quickly expanding through other platforms as well. Home devices, personal computers, tablets, televisions, automobiles and wearable devices are also integrating voice assistance. A recent study by Juniper Research claims that voice assisted devices will be used by 870 million people, in the U.S. alone, by the year 2020. That’s an increase of 95% from the 2017 figure of 450 million. In short, voice has become and will continue to be, the search option of choice for most people, in America and across the globe. How Are Your Customers Using Voice Search? It’s imperative that eCommerce merchants and online businesses monitor the ways in which their customers search for information about their products and services. This is especially true of the younger generation, who have embraced voice search technology and use it as a primary means of seeking information. Experts agree that it will be more important to generate and optimize content for voice search and SEO in order to stay relevant and useful to this growing segment of the population. If you’re an eCommerce merchant with questions about optimizing content for voice search contact us to learn more. Our team has the experience, knowledge and marketing expertise to help you improve your message reach so you can attract customers and grow your business.